Mary Church Terrell (September 23, 1863 – July 24, 1954), daughter of two former slaves, was one of the first African-American women to earn a college degree. Mary Church became an activist who led several important associations and helped to work for civil rights and suffrage. Alice Dunbar Nelson (July 19, 1875 – September 18, 1935) was an American poet, journalist and political activist. Among the first generation born free in the South after the Civil War, she was one of the prominent African Americans involved in the artistic flourishing of the Harlem Renaissance. Her first husband was the poet Paul Laurence Dunbar; she then married physician Henry A. Callis; and last married Robert J. Nelson, a poet and civil rights activist. 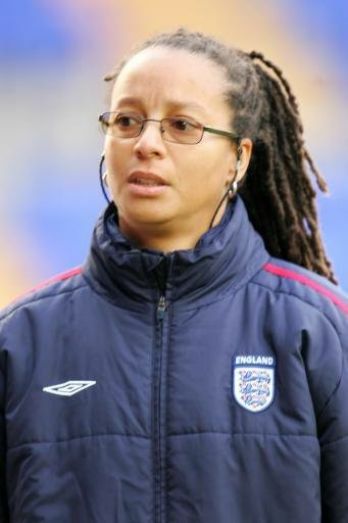 Hope Patricia Powell, CBE (born 8 December 1966, Lewisham, South East London) is the coach of the England women’s national football team. Powell is a fully qualified ‘A’ License coach and in 2003 became the first woman to achieve the UEFA Pro License – the highest coaching award available. As a player, Powell played 66 games for England scoring 35 goals. She made her England debut at the age of 16, and went on to play in the 1995 FIFA Women’s World Cup, England’s first World Cup appearance. She was also vice-captain of her country. She was appointed as the first ever full-time national coach in 1998 and has led England to the 2001 European Championship, the quarter-finals of the 2005 European Championship, the 2007 World Cup Finals and the final of the 2009 European Championship. Nathaniel “Nat” Turner (October 2, 1800 – November 11, 1831) was an American slave who led a slave rebellion in Virginia on August 21, 1831 that resulted in 56 deaths among their victims, the largest number of white fatalities to occur in one uprising in the antebellum southern United States. He gathered supporters in Southampton County, Virginia. For his actions, Turner was convicted, sentenced to death, and executed. In the aftermath, the state executed 56 blacks accused of being part of Turner’s slave rebellion. Two hundred blacks were also beaten and killed by white militias and mobs reacting with violence. Across Virginia and other southern states, state legislators passed new laws prohibiting education of slaves and free blacks, restricting rights of assembly and other civil rights for free blacks, and requiring white ministers to be present at black worship services. Matthew Alexander Henson (August 8, 1866 – March 9, 1955) was an African American explorer and associate of Robert Peary during various expeditions, the most famous being a 1909 expedition which claimed to be the first to reach the Geographic North Pole. Henson was born on a farm in Nanjemoy, Maryland on August 8, 1866. He was still a child when his parents Lemuel and Caroline died, and at the age of twelve he went to sea as a cabin boy on a merchant ship. He sailed around the world for the next several years, educating himself and becoming a skilled navigator. James Cleveland “Jesse” Owens (September 12, 1913 – March 31, 1980) was an American track and field athlete. He participated in the 1936 Summer Olympics in Berlin, Germany, where he achieved international fame by winning four gold medals: one each in the 100 meters, the 200 meters, the long jump, and as part of the 4×100 meter relay team. Bobby Hutton, or “Lil’ Bobby” (1950 – 1968) was the youngest founding member of the Black Panther Party. 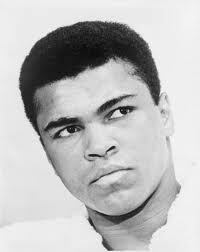 He was born in Pine Bluff, Arkansas in 1950. His family moved to California at the age of three when they were visited by nightriders intimidating and threatening blacks in the area. He joined soon after the conception of the BPP in 1966 at the age of 16. On April 6, 1968, he was killed by Oakland Police after a firefight in Oakland, California after he had surrendered and had stripped down to his underwear to prove that he was unarmed. Actor Marlon Brando attended his funeral. 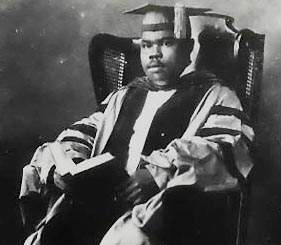 De Fremery Park in West Oakland, California, has been unofficially named after him. This entry was posted on August 31, 2010 at 11:00 pm and is filed under Articles, Black British Literature, Black History, Newsletter with tags Articles, Black British Literature, Black History, Newsletter. You can follow any responses to this entry through the RSS 2.0 feed. You can leave a response, or trackback from your own site. Thanks very much for sharing a lot of this good information! I am looking forward to seeintg more.